Isiah McMillan was born in 1947 in Gretna, Florida. He enlisted in the U.S. Army on June 6, 1966, and completed basic training at Fort Gordon, Georgia, in August 1966. Pvt McMillan next attended advanced individual training as an infantryman at Fort Gordon from August to October 1966, followed by airborne training at Fort Benning, Georgia, from October to November 1966. His first assignment was as an indirect fire crewman with Company C, 5th Battalion of the 31st Infantry Regiment at Fort Rucker, Alabama, and then at Fort Benning from November 1966 to April 1967, and then as an indirect fire crewman with Headquarters Company, 1st Battalion of the 29th Infantry Regiment at Fort Benning from April to July 1967. Sgt McMillan next served as an ammo bearer and then Squad Leader with Company B, 3rd Battalion of the 21st Infantry Regiment in South Vietnam from July 1967 until he was captured and taken as a Prisoner of War on March 11, 1968. After spending 1,832 days in captivity, SSG McMillan was released during Operation Homecoming on March 16, 1973. He was briefly hospitalized to recover from his injuries at Fort Gordon, and then served as a Senior Instructor and then as a Race Relations Education Training Instructor with the U.S. Army Southeastern Signal School Center at Fort Gordon from September 1973 to May 1978. His next assignment was as a Race Relations Instructor with the U.S. Military Community Activity in Ansbach, West Germany, from May to October 1978, followed by service as a Race Relations Instructor and Equal Opportunity NCO with Headquarters Command at Fort Gordon from October 1978 to April 1984. 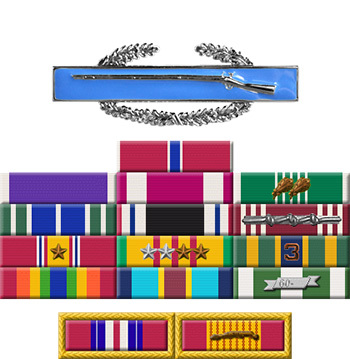 MSG McMillan served as an Admin Supervisor with the U.S. Army Reception Station at Fort Jackson, South Carolina, from April 1984 to March 1985, and then as a Training NCO at Fort Jackson from March to December 1985. His next assignment was as Assistant Inspector General with U.S. Army Forces Command at McPherson, Georgia, from January to September 1986, followed by service as an Admin Supervisor with Headquarters Forces Command at Fort Gillem, Georgia, from September 1986 to May 1987. MSG McMillan's final assignment was as Communications Activities NCOIC with Company C of the 551st Signal Battalion at Fort Gordon from May 1987 until his retirement from the Army on March 1, 1993. 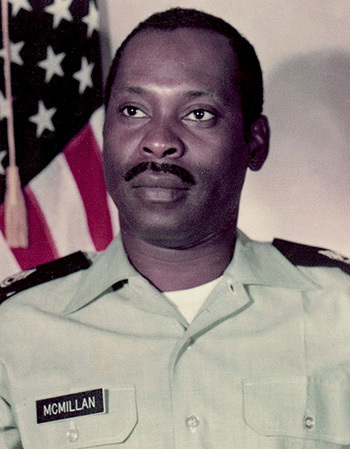 Staff Sergeant Isiah R. McMillan distinguished himself by exceptionally meritorious service to the United States of America while detained as a Prisoner of War in Southeast Asia during the period 11 March 1968 to 16 March 1973. His ceaseless efforts, by a continuous showing of resistance to an enemy who ignored all international agreements on treatment of prisoners of war, in the extremely adverse conditions of the communist prisons of Southeast Asia demonstrated his professional competence, unwavering devotion and loyalty to his country. Despite harsh treatment through his long years of incarceration, this American continued to perform his duties in a clearly exceptional manner which reflected great credit upon himself and the United States Army.